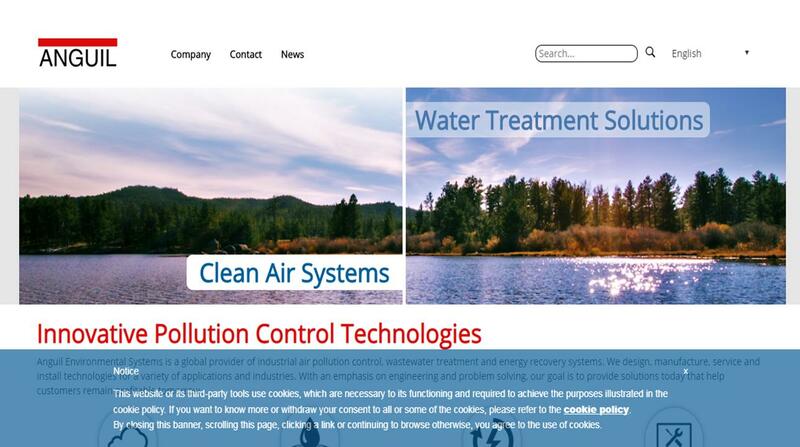 A reliable source for Air Pollution Control Equipment information and a resource for accessing leading Air Pollution Control Equipment and suppliers. Air pollution control equipment is equipment that removes Volatile Organic Compounds (VOCs) and Hazardous Air Pollutants (HAPs) from the air, like sulfuric gases, fumes, odors and vapors. Air Pollution Control Equipment Air pollution control equipment is equipment that removes Volatile Organic Compounds (VOCs) and Hazardous Air Pollutants (HAPs) from the air, like sulfuric gases, fumes, odors and vapors. Adwest Technologies manufactures cost effective air pollution control through its RETOX Regenerative and VOC concentrator products. Anguil designs, manufactures, services and installs oxidizer systems for the destruction of VOCs, HAPs and Odorous emissions. 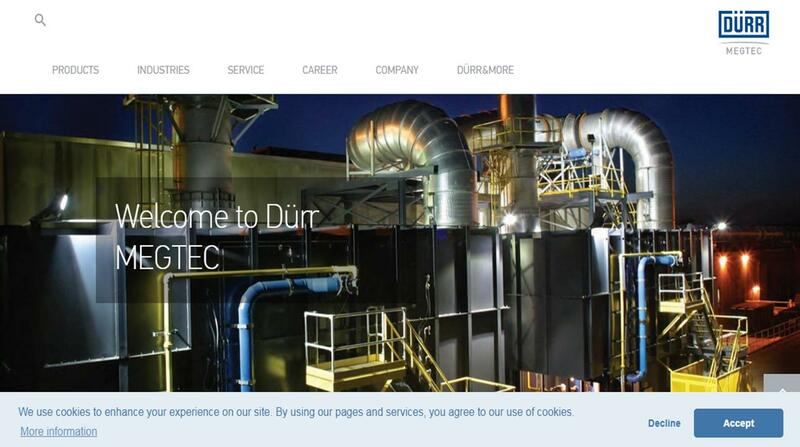 Dürr MEGTEC provides customized systems for: regulatory compliance; improvement in working environment and in neighbor relations by reducing odor from industrial processes and helping to reduce greenhouse gas emissions and process energy management. 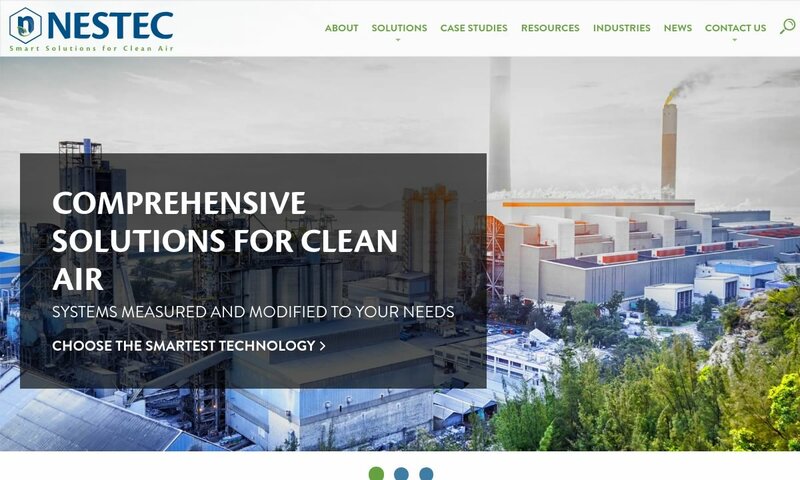 NESTEC, Inc. is a full service firm specializing in solutions for air emissions issues including: Regenerative, Catalytic, Direct Fired and Recuperative thermal oxidation systems, Energy conservation, Ozone emissions, and more. 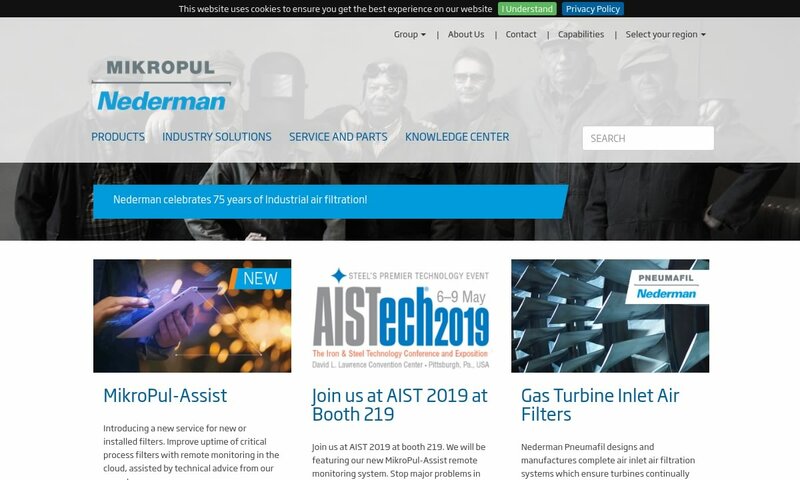 Nederman MikroPul offers one of the most comprehensive lines of products available for air pollution control equipment, emissions control, gas cleaning and product recovery. 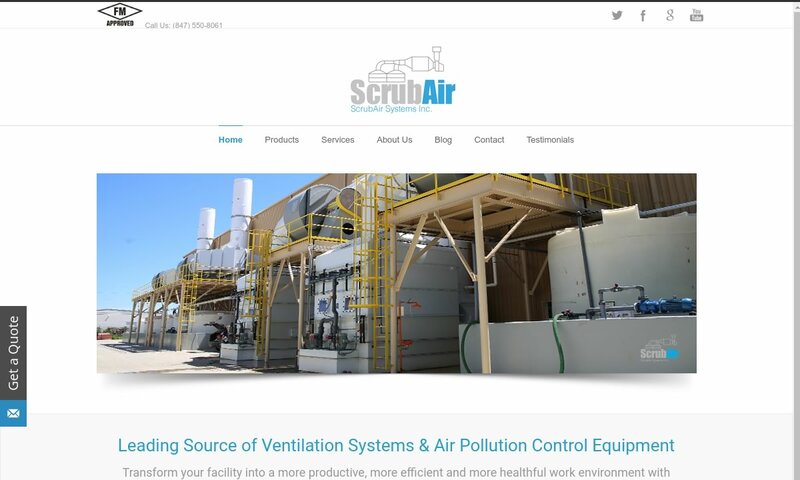 ScrubAir Systems is a leading manufacturer of custom turnkey ventilation and air pollution control systems. We specialize in Corrosive Resistant Hoods, Duct Systems, Fans, Wet Fume Air Scrubbers, and more. Air pollution control equipment is a vital component of industrial processes that cannot be neglected. Name any industry, and you will realize the extent of harmful stuff it sends into the environment through its processes. Petroleum, energy production, coal and metal mining, chemical, and waste management industries are a few of the big-league players that have played a considerable role in polluting the environment. Regenerative Thermal Oxidizer – Anguil Environmental Systems, Inc.
Every industrial procedure – including sourcing of raw materials, manufacturing of the final product, maintenance of the site and machinery, and transporting of the product to different locations – results in some kind of pollution. The burning of fossil fuel releases volatile hydrocarbons, burning wood and coal as fuel produces carbon dioxide and sulfur dioxide, and automobiles are also a key source of harmful carbon. Each industrial activity generates emissions that directly pollute the air, soil, or water. In addition, non-industrial air pollution control equipment is used in households and vehicles. In the home, filtration technology is used to remove household contaminants like pet dander, allergens, mold spores and dust stirred up from air conditioners. In vehicles, precision filtration systems reduce emissions coming out engines, exhaust pipes and air conditioning systems. The initiation of air pollution can be sourced back to the beginning of the Industrial Revolution. Industries contributed in the progression of the world economy, as well as pollution. Burning fuel released from industrial process equipment, and the production and maintenance of industrial procedures all contributed to pollution. In addition, with rising industrialization came the overexploitation of natural resources such as wood, coal, water, land, etc. People began to see the consequences of unchecked industrialization by the mid-1900s. In 1948, for example, after it reached toxic levels, air pollution in Donora, Pennsylvania killed 20 people and sickened 7,000 more. In 1952, London experienced what they called The Great Smog. This dense, impenetrable fog was a result of sulphur particles mixing with burning coal fumes in the air. During the five-day smog, some 12,000-people died, along with animals. In 1984, in Bhopal, India, an air pollution disaster caused by the Union Carbide factory killed nearly 4,000 factory workers and sickened or injured 150,000 and 600,000 people in the surrounding areas. To combat these horrifying disasters, governments around the world put into place a variety of clean air laws. In the UK, the government passed the first Clean Air Act in 1956. This restricted coal burning in urban areas. The United States followed suit with its own Clean Air Act in 1970. Upon the enactment of such laws, people began to make use of a few different pieces of air cleaner equipment that had been invented much earlier. One was the electrostatic precipitator, invented in 1824 by German mathematician Dr. M Hohlfeld. Around 80 years later, in 1907, Prof. Frederick Gardner Cottrell patented the first electrostatic precipitator that could be mass produced. At that time, the precipitator was used to capture, treat and eliminate sulphuric acids from emissions. The Clean Air Act in 1990 made it mandatory to monitor some specific pollutants, periodically, at various stationary sources. To comply with monitoring requirements and the regulatory limits, monitoring equipment is as important as pollution control equipment. Monitoring equipment is helpful in keeping data concerning particulate matter and gaseous pollutants, which is important for getting permits for new and existing facilities and for audit purpose. Moreover, emissions monitoring is essential to monitor health and safety within the plant and to assess the efficiency of the pollution control device. Thanks to the dedication of many, in the last several years, VOC and HAP emissions have gone down significantly. However, carbon emissions are now entering the foreground of concern, due to the emergence of global climate change. Therefore, lawmakers and environmentalists are now working together to create legislation that will help lower carbon emissions as much as possible. Given these new and up-and-coming regulations, manufacturers may need to be prepared to find alternatives to incinerators and oxidizers. These alternatives may include elements of filtering systems like electrostatic precipitators, mist collectors, wet scrubbers and dry scrubbers. This method involves converting a dangerous chemical into an inert chemical. This is usually done using something like a flue gas desulphurization electrostatic precipitator. In addition, to help clean up nitrogen oxide, certain controls include selective catalytic reduction processes. These regulate nitrogen oxides emissions from non-moving sources and from selective non-catalytic reduction, a process that changes oxides of nitrogen (NOx) into molecular nitrogen (N2). If VOCs have recovery value, technicians may employ carbon adsorption, scrubbing and condensation to recuperate materials. If not, technicians may employ thermal oxidation, catalytic oxidation or biofiltration. This form of air purification is the most difficult, as it involves reach high enough boiling points to burn away chemicals with very high boiling points. Removing the hazard from the air is the most common and the easiest form of air purification. This can be done in a number of ways, but mostly it is done using air filter systems. To monitor, control and report emissions, many facilities use tools called Continuous Emissions Monitoring Systems (CEMS). Monitoring equipment, basically, are various types of instrumentation that are utilized for measuring the gaseous compounds and particulate matter concentration directly at various points. Usually, these are points in a duct or stack. Additionally, they observe the physical properties of a waste gas stream, such as opacity. This type of monitoring is done at large sources of pollution, which are required under New Source Performance Standard (NSPS), National Emissions Standards for Hazardous Air Pollutants (NESHAPS) and New Source Review (NSR), to monitor emissions. Additionally, under some of the EPA regulations, continuous emissions monitoring is required. Continuous Emissions Monitoring, along with Parametric Monitoring, also help technicians align with the regulations of the Compliance Assurance Monitoring (CAM) Rule. In parametric monitoring, emissions are measured by keeping an eye on key parameters, which are linked to the functioning status of process equipment or air pollution control equipment. Parametric monitoring is based on the concept that the control parameters being monitored and pollutant emission levels are correlated. Because of the CAM rule, parametric monitoring is getting some traction, as parametric monitoring is proving to be a more flexible, as well as less expensive options, to demonstrate compliance. They also install emission control systems, which help them keep air pollution output below their designated levels. These air filters can treat the supply of exhaust stream, and help a manufacturing avoid destroying the environment any more. 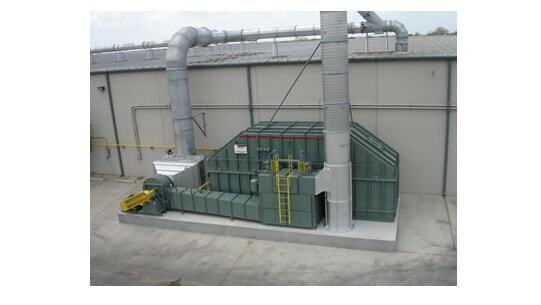 Depending on the nature of the job, industrial facilities may employ mist collectors, electrostatic precipitators, odor control systems, wet scrubbers, dry scrubbers or other air filters. Examples of air filters include: oil filters, air compressor filters, woven fabric filters, oil filters, air intake filters, bag filters and gas filters. Another common air purifier system is the oxidizer, which breaks up pollutants and remakes them into non-toxic carbon, by burning them at the heart of the machine. Prominent oxidizer types include: catalytic oxidizers, thermal oxidizers (including regenerative thermal oxidizers and recuperative oxidizers) and carbon absorbers. Catalytic oxidizers use high heat or elemental additives to burn VOCs. Thermal oxidizers wash dirty air in platinum or palladium, which causes the oxygen to separate from VOCs. They process creates non-toxic byproducts like nitrogen and oxygen. Both processes may be either regenerative or recuperative. This is a helpful feature for agricultural, mining/geo-chemical, pharma, auto and other industrial manufacturing facilities that lose money from running pollution control systems both inside and outside, because it helps them recycle heat and cut costs. Regenerative thermal oxidizers (RTOs) utilize ceramic heat transfer beds to recover as much energy released during oxidation as they can. Usually this mounts to 90% to 95%. Recuperative oxidizers, on the other hand, employ shells, tubes, plates or some other conventional heat exchanger to preheat polluted gas in an energy recovery chamber. By using energy released by oxidized VOCs, they are able to sustain themselves. Carbon absorbers, or air scrubbers, are another type of oxidizer. They work by filtering contaminated air as it flows through or over an activated carbon bed. When the air stream passes the carbon bed, the carbon bed captures and absorbs the VOCs, and releases only clean air. Carbon absorbers may use a number of technologies and helpful substances, such as: lithium hydroxide, sodium hydroxide, amines (ex. monoethanolamine) and minerals and zeolites (ex. serpentinite). Air pollution control equipment helps its users adhere to a variety of safety and compliance standards, like those put out by the EPA.  Environmental Protection Agency (EPA) regulations, such as the Clean Air Act and the National Ambient Air Quality Standards (NAAQS), limit the type and quantity of VOCs and HAPs industrial manufacturing facilities may emit during processing. It’s important to respect these regulations not only from a business standpoint, but from the perspective of community health and ethics. Choosing the appropriate monitoring equipment or method not just involves the performance comparisons and basic cost, as operational environment and conditions differ from one facility to another, for a given classified source. Monitoring equipment is unique to each installation and facility, and the selection is based on number of considerations. 1. As the physical and chemical properties of the pollutant and waste gas stream vary, it is important to consider them, before making any choice. 2. Monitoring equipment must complement the system it will be used for; check the permitting limits or regulatory limits, and any other associated reporting requirements, thoroughly. 3. The selection of equipment also depends on method and location of collecting, processing, and disposing samples. 4. They should meet accuracy and calibration requirements. 5. For choosing monitoring equipment, quality is the biggest factor; assure that the quality meets the quality control requirements. 6. All equipment need maintenance, make sure maintenance service is easy to get. 7. The monitoring should not interfere with safety and management system. All these factors will help to buy monitoring equipment that will help perform as per the requirements over time. Pollution is no longer a region-specific problem—it has become a global phenomenon. Centuries of unrestricted industrial activities, nonstop destruction of forests, and unhindered exploitation of natural resources have made pollution a deadly reality. Global warming is just one fallout. Meanwhile, air, soil, and water pollution have reached peak levels. In the following paragraphs, we list six overwhelming facts about air and water pollution. 1. We breathe gallons of pollution every day. At an average, an individual consumes more than 3,000 gallons of air each day. And, with that air, we also consume a lot of pollution. 2. Breathing polluted air everyday takes away about 22-23 months from your life. In highly populated cities, breathing equates to smoking many cigarettes per day. 3. Air pollution is more dangerous than water pollution. Contaminants spread in air faster than they do in water and soil. Polluted water, but not air, can be identified and treated easily. 4. Beijing cough is a disease caused by air pollution. 5. Heavy crude oil results in more air pollution that the light variant does. 6. In Manila, Philippines, about 80% of pollution is caused by vehicles. Dealing with pollution is an equal responsibility of every human and company. If you are worried about the growing and spreading effects of pollution, consider the six following prevention tips. 1. Use public transport whenever possible. A bus can carry about 40 to 50 people at a time, while a car only one to four. As stated in one the above facts, vehicles contribute to a large share of air pollution, you bus transportation is healthier for the environment. 2. Use smart air filtration technology. Indoor areas are also not safe from pollution. You can consider getting yourself an indoor air pollution control system. These systems keep your home environment clean, while ensuring a safe living for you and your loved ones. 3. Adopt intelligent waste management planning. Bad habits of people are a reason behind the rise in air pollution. You should discard your waste responsibly and according to governmental guidelines. 4. Industries should follow proper waste management planning to avoid the emission of harmful chemicals and toxins into the environment. 5. Adopt green practices. Both people and businesses should follow procedures that do not have any aftermath on the environment. 6. Prepare a maintenance schedule of pollution control equipment and perform maintenance according to it. Industrial-and home-based pollution control devices should be maintained regularly to get the best performance. To make sure you have air filters and other control equipment that functions at peak performance levels, you need to work with a reputable air filters supplier. To help you on your way, we’ve put together a list of air filters manufacturers you can trust. You’ll find them, along with profiles, integrated into this page. When you’re ready, check out these air filter companies, and pick out three or four to whom you’d like to speak in-depth. Reach out to them individually and talk to them about specifics including: customization, extras like replacement filters, budget, standard certifications, delivery preferences, installation assistance and post-installation support. Once you’ve done that, decide which one will serve you best and get started. Good luck!